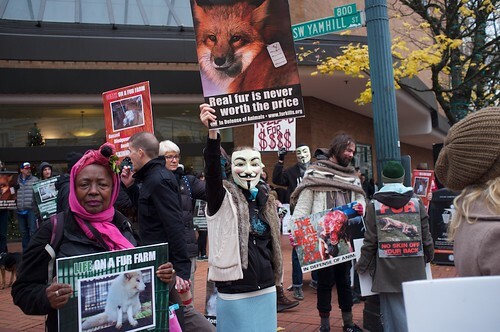 Today, instead of joining the throngs of people in the malls, 150 fellow animal rights activists marched in Portland against fur. Protesters wait to march outside Nordstrom’s in Downtown Portland. 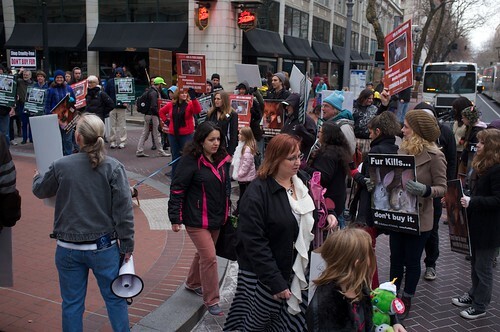 We met outside of Nordstom’s in downtown Portland at 10:30, and hit the street an hour later. The walk took us on a loop up Broadway and Taylor, back down 12th, then up 6th to Macy’s. 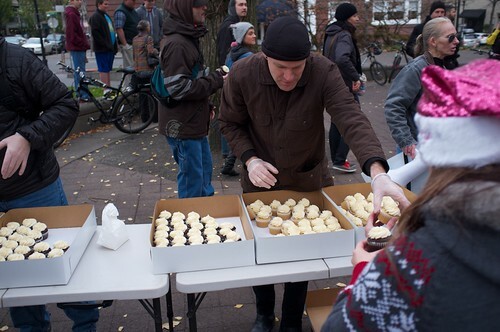 We ended in the park blocks and enjoyed cupcakes donated by the phenomenal PDX bakery, Sweetpea Baking. 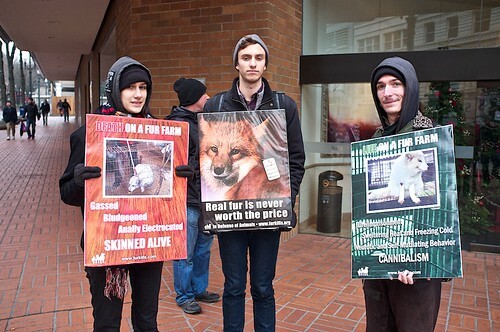 The group pauses at Macy’s to spread the message. It was a successful march as many spectators seemed to appreciate the message. 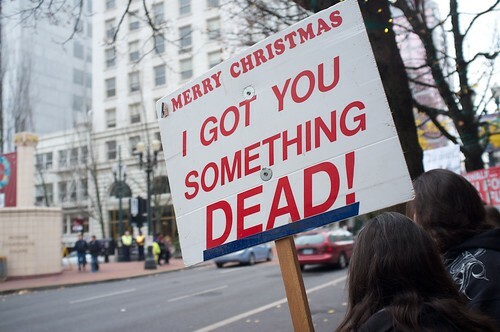 There was a variety of signage available. 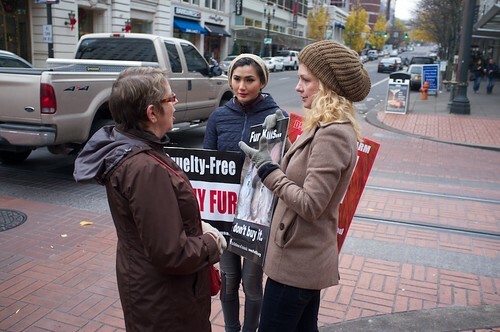 Protesters chat with a woman passing by, about the truths of the fur industry. Free cupcakes from Sweetpea! I think I will. 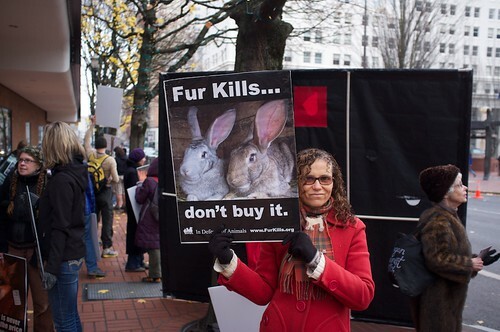 Please visit In Defense of Animals (IDA) website here.